The Momentium system has been proven to improve performance across all industries and skill levels. By combining traditional teaching methods, an interactive sales simulator, and video conference coaching, we offer measurable and sustainable results that can’t be found anywhere else. Using Momentium, the Davis Controls’ sales team are asked to complete 30 minute sessions two to three times per week. Each session begins with a briefing regarding a simulated sales opportunity and introduces some concepts. Participants then make a simulated sales call and are required to make some critical decisions. Salespeople must apply the skills learned and close the sale in order to move to the next level. Everything is measured and tracked and participants get immediate feedback and coaching on what had just transpired. Bi-weekly feedback sessions from staff about the training have been very enthusiastic. 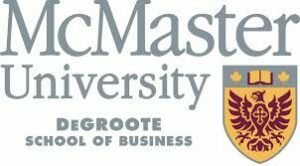 Momentium has been part of the curriculum in my senior year Applied Sales undergraduate course at McMaster University for the past ten years. In 2009 I added the resource to the Consultative Selling course for the MBA students. This online, game -based simulation has essentially replaced the traditional text book I was initially using in these courses. There is no doubt in my mind that this program has delivered well beyond the expectations I had initially set, given that it would be a self- paced student administered learning tool. Student feedback during class discussions, and long after they have graduated, verify that the Momentium concepts are imprinted in their real-life sales conversations and experiences. This program engages learners meaningfully through real world challenges while motivating to drive learning outcomes through feedback and rewards. I strongly recommend this program to marketing and sales instructors, corporate sales trainers and sales managers – you will see results, change, tangible and measurable returns! As a sales instructor for the University of Wisconsin-Parkside, I have used Momentium as part of my curriculum in my undergraduate classroom for over six years. This online, avatar based simulation software has been extremely effective in helping students identify many important aspects of the sales process and provide valuable scenarios that are often very difficult to replicate. I continue to be impressed with the accurate and realistic missions that offer real world decision scenarios along with valuable coaching opportunities. I would strongly recommend this program for instructors, sales managers and corporate training programs; you will not be disappointed. Much like a flight simulator, a sales simulator is a risk-free virtual environment where users are free to practice and improve their skills in a controlled environment. Our solution, called Momentium, is an online learning platform that puts users in lifelike sales calls where they must open, develop, and close a deal using the skills they are being taught. Unlike other training solutions, Momentium gives learners the opportunity to put techniques into practice immediately. This develops good habits and more successful salespeople.